Unbelievable! Situated just outside Dimbula at Lower Sandy creek covering both sides of the road is this impressive farm in which it is currently producing Red Papaya (4000 mature plants in full production & 4000 in ready to harvest in two months 700 Avocado's (Shepherd's)) and 150 mature KP Mangoes. An appealing 3 bedrooms plus office home sits proudly towards the front of the property, the home is renovated to an irresistible standard with smooth polished floors throughout, spacious bathroom and main bedroom placed in the middle of the house with access to the rear deck which overlooks the underground resort style pool. There is also a huge modern kitchen and open plan living areas. Now the workers side of things, the massive packing shed is full of bulk storage rooms plus raised wooden floor rooms for workers quarter or more storage room. All the machinery and equipment you will need to run this farm is on the property and regularly used yet in very good condition, the list is too big. There is also a spare house for the worker to sleep, eat, and have lunch away from you personal home. 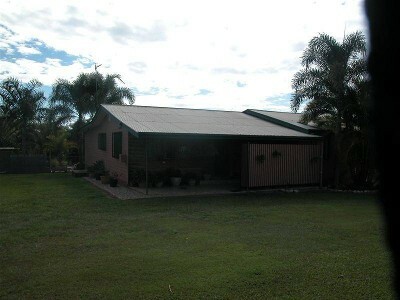 This house consists of 2 bedrooms, lounge, kitchen, shower & toilet with beds for 6-9 workers. Other interesting features on the property include horse stables, storage silos, 70 meg water allocation, fully fenced on the house side of the property, breathtaking views from the back of the property (looks over the entire farm and the rest of the valley). This is a must see property. "The sustainability declaration for this property is available from the Office upon request"